Derailleur Hanger Carraro 526 Team 650b 2014 size 1:1 scale. Made in Italy. 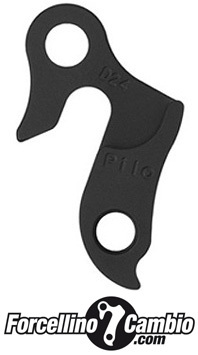 Derailleur Hanger Carraro 021 Race in actual size 1:1 scale. Made in Italy. 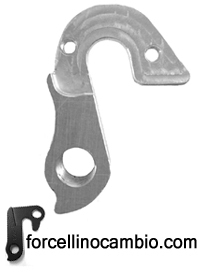 Carraro 930 derailleur hanger 6061 T651, made with CNC technology. Black anodized. Lighter and more durable than the hanger series. 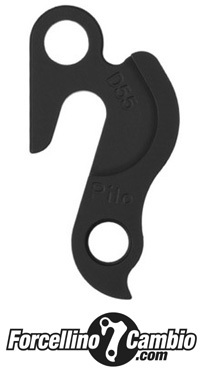 Carraro Carbon Ract 650B derailleur hanger 6061 T651, made with CNC technology. Black anodized. Lighter and more durable than the hanger series. Derailleur Hanger Carraro DueNove in actual size 1:1 scale. Made in Italy. Carraro Quattro Cento derailleur hanger 6061 T651, made with CNC technology. Black anodized. Lighter and more durable than the hanger series. 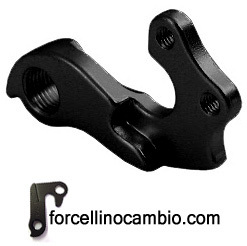 Carraro Valles 941 derailleur hanger 6061 T651, made with CNC technology. Black anodized. Lighter and more durable than the hanger series.